Welcome to the launch of Bridging the Talent Gap Survey. The purpose of the survey is to identify organizations’ skills shortages in the Albuquerque metro area, which will help state policymakers, educational institutions, and training providers better understand the urgency of your needs and take action. 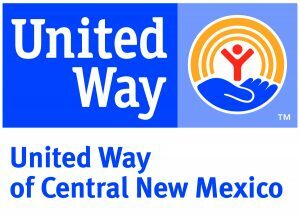 On behalf of Mission: Graduate, an initiative of United Way of Central New Mexico, and our partners – the Albuquerque Hispano Chamber of Commerce, HRMA of New Mexico, SHRM New Mexico, Workforce Connection Central Region, the New Mexico Department of Workforce Solutions, CNM, Innovate+Educate, and the New Mexico Retail Association – we would like to thank you for participating. Mission: Graduate is part of a national network of organizations, known as The Graduate! Network, which is devoted to seeing more adults complete a college degree or other post-secondary credential. Your responses to this survey will provide valuable feedback and will help guide community-wide strategies for creating a work-ready Albuquerque metro area. The primary audience for this survey is Human Resource Directors. Depending on your organization, it may be appropriate for other leaders with knowledge of your organization’s workforce needs to take this survey. It may also be appropriate for more than one person to complete the survey depending on where knowledge about your organization’s workforce needs might reside. The survey should take about 30 minutes to complete. If you get interrupted, no problem! You will be able to return to the place where you left off by utilizing the “Resume Later” function located at the top of each page of the survey. If you are a Human Resource professional affiliated with SHRM, you will earn one hour of continuing education credit for SHRM certification.